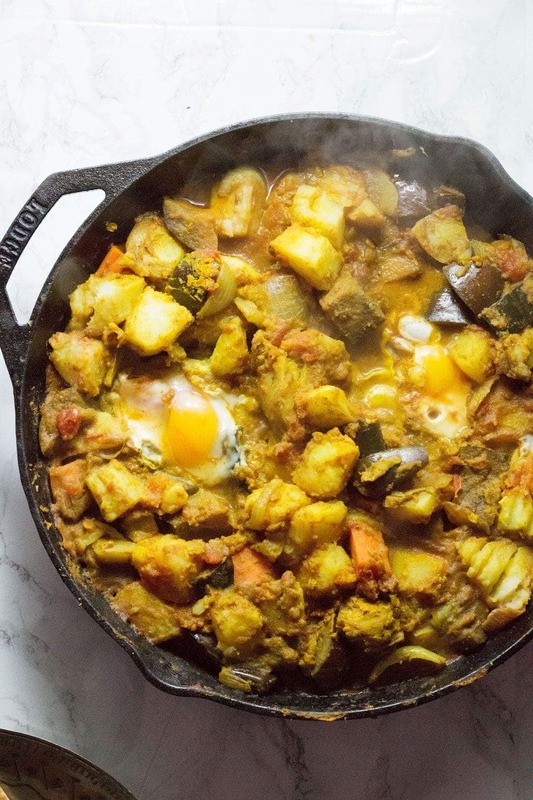 This easy curry potato & egg skillet is a great weeknight dinner. 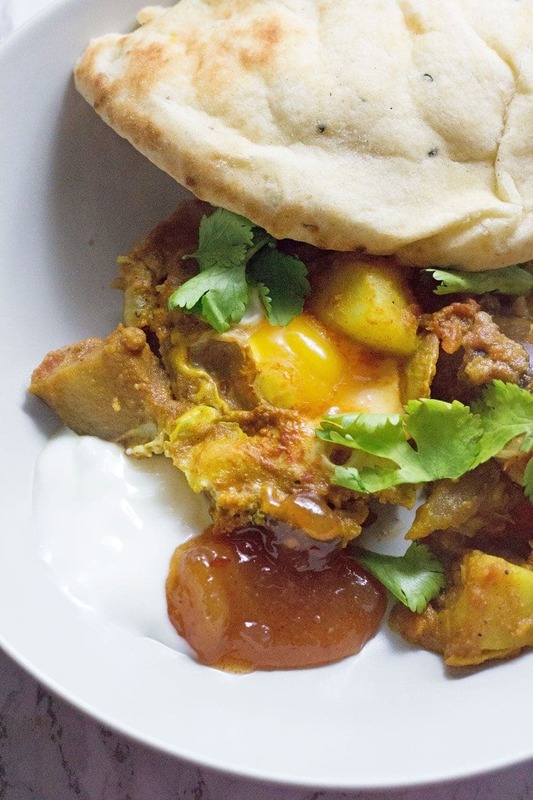 It’s got bags of flavour, comes together quickly and is made of super cheap ingredients! It’s taking us longer than I was hoping to get our lives back to normal since moving. I think I’m standardly pretty over optimistic about things like this but still, I really hoped I’d be back on track with blogging by now and it just hasn’t quite happened. Last night I got really frustrated with this fact because it was the first evening of the week that I wasn’t busy and I planned to do loads of stuff and all I did was edit the photos for this post. That was it. What has happened to my productivity? I started 2017 with the bones of an editorial calendar and a load of recipes already planned, written and photographed so for the first few weeks of the year regular posting was a breeze. Then we moved and I stalled massively. The other night I did manage to write out a whole load of recipes plans and we’re ordering the ingredients as I type (thank you nice boyfriend) so I feel like I’m on the brink of being sorted! This was one of the easy dinners we made in the week after we moved. 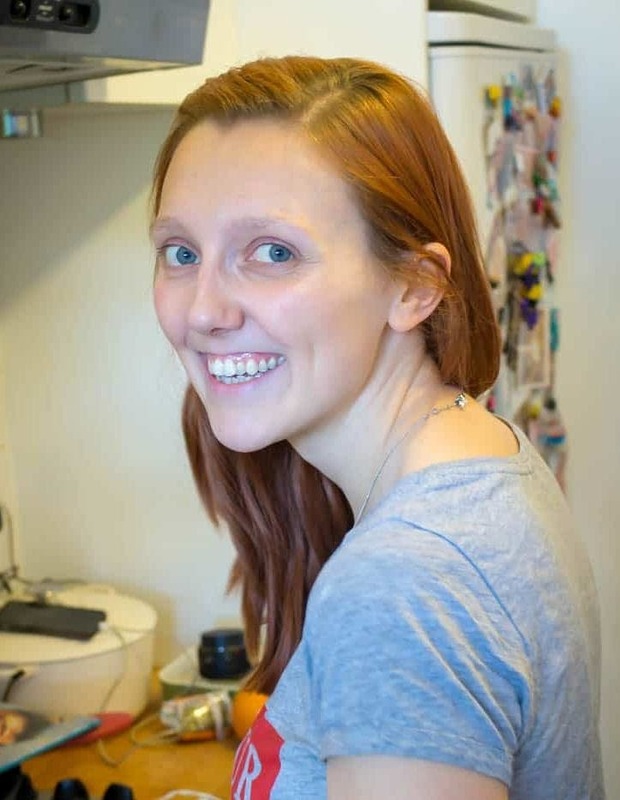 When we were surrounded by boxes and still couldn’t find half of our kitchenware and we spent every evening after work trying to sort through the crazy amount of possessions we seem to have amassed over the past 2 years. It’s got plenty of veggies to keep you healthy in these grim winter months when everyone around you seems to be dropping like flies from various coughs and colds. Plus a healthy helping of spicy curry flavour which makes a perfect cozy home for some nicely coddled eggs with lovely soft yolks. 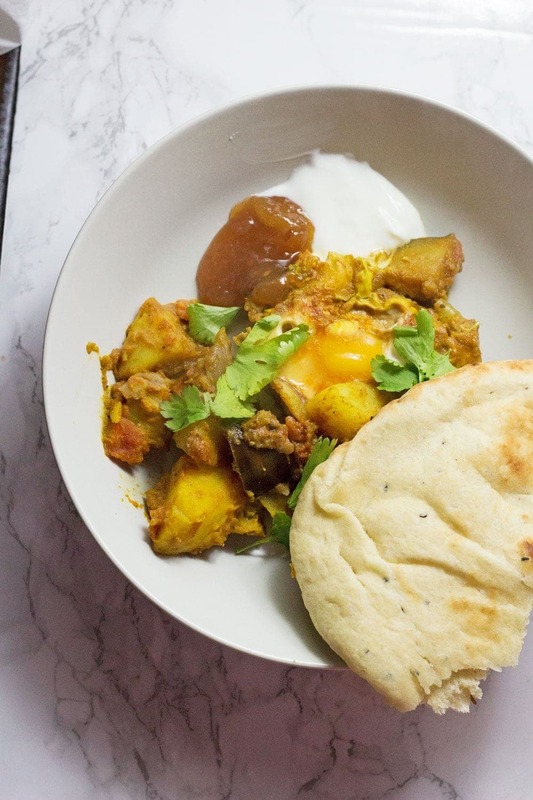 The perfect accompaniment for this easy curry potato & egg skillet is a big dollop of greek yoghurt, a spoonful of mango chutney and a chunk of pillowy naan. Crack that yolk and let it ooze through (sorry ooze is a bit gross on second thoughts) and make a lovely silky sauce for your veg. Want more? Get all my vegetarian recipes before you go. 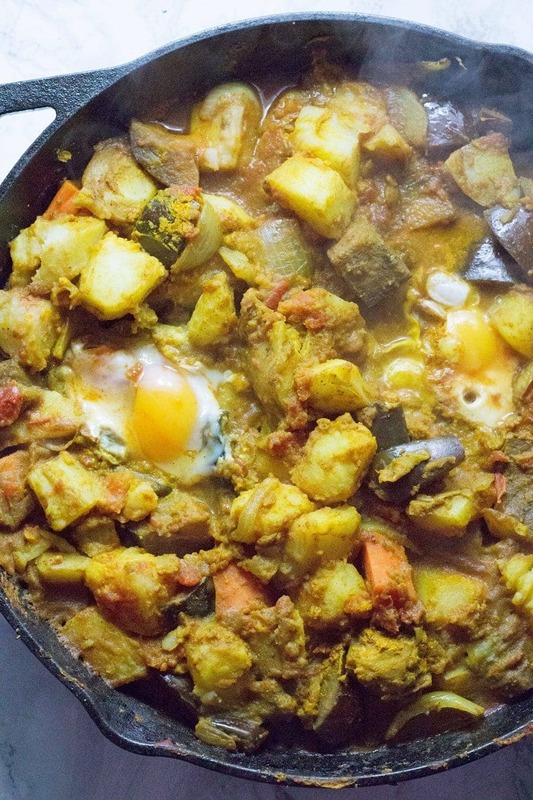 WONDERING WHAT TO DO WITH THE LEFTOVER INGREDIENTS YOU’VE GOT ONCE YOU’VE MADE THIS EASY CURRY POTATO & EGG SKILLET WITH AUBERGINE? 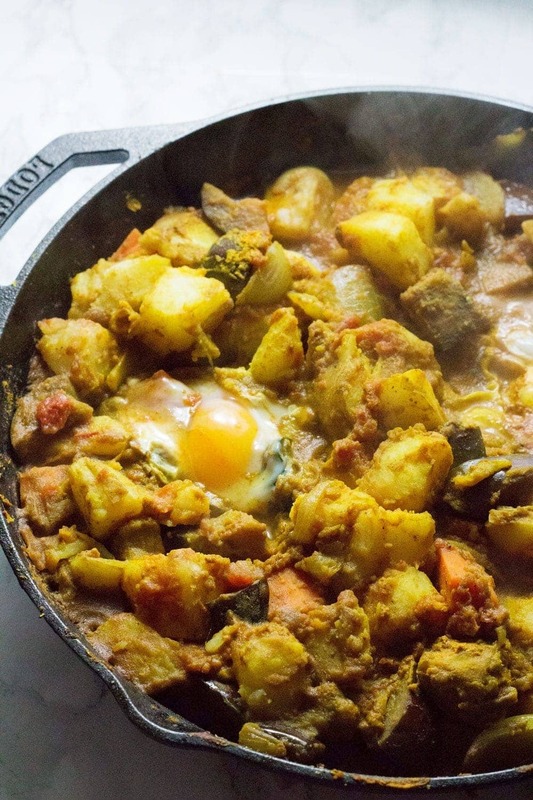 This easy curry potato & egg skillet is a great weeknight dinner. 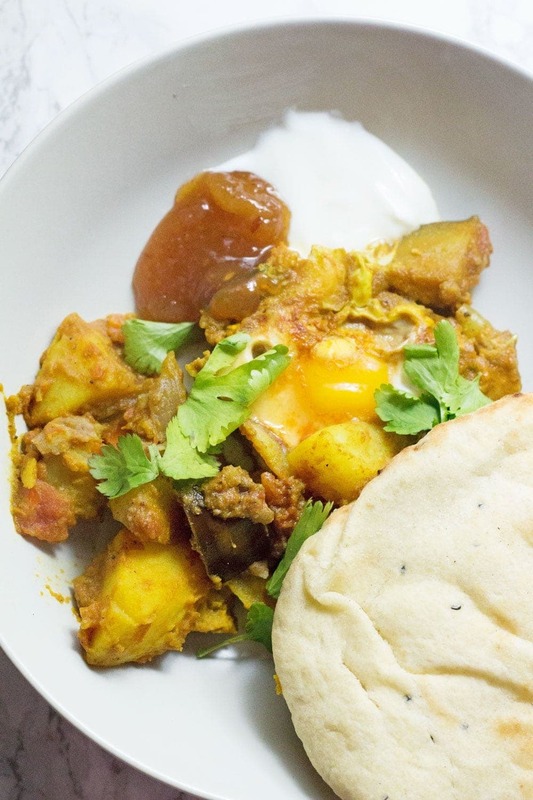 It's got bags of flavour, comes together quickly and is made of super cheap ingredients! Cut the potatoes into chunks and par-boil them for 5 minutes. Remove from the heat and drain. Set aside. In a skillet, heat the oil over a medium heat. Add the onion and fry for a few minutes until softened. Add the garlic and ginger and cook until fragrant. Throw in the spices, mix thoroughly and cook for another 2 minutes. Add the carrot and aubergine and cook until softened. Make 4 wells in the mixture and break an egg into each. Cover the skillet and let it cook until the whites have solidified, the time this takes will really depend on your hob but ours took about 10 minutes. Sprinkle chopped coriander over the top. Serve with naan bread, yoghurt and mango chutney if desired. 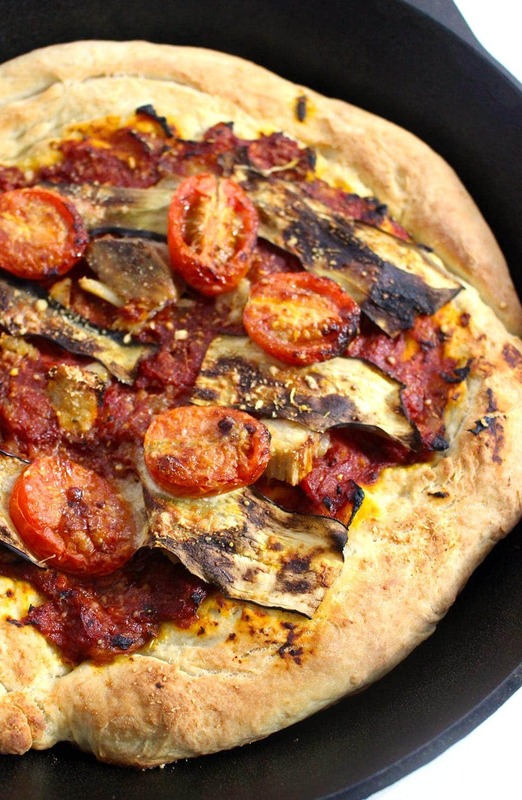 Aubergine is my most favourite ingredient ever!! Love the idea of using the skillet as well. This sounds like such a comforting dish! I love aubergine anyway, and curried is one of my favorites. 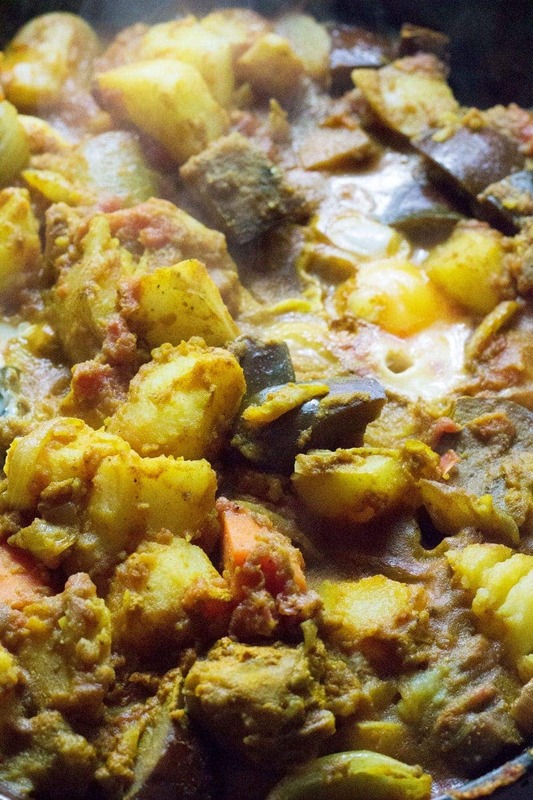 I love curry – this dish sounds amazing! I love easy dinners like this that are packed with veggies! Yum! I too prepare a similar curry very often..love the flavors here!